Deciding to become a teacher in North Dakota is a great idea! It takes a unique and talented person to decide on a career in education. Each state has different requirements for becoming a teacher. The following steps will help you stay on task while on your journey toward becoming a teacher in North Dakota. First you should decide what level or subject (s) you desire to teach before moving to other steps. You can become licensed to teach elementary school, middle school, high school, or special education. Do you have a passion for a certain content area like English or Math? If so, you should considering getting licensed to teach high school or middle school. Do you prefer to teach multiple fundamental skills to younger children? If that is the case, you can consider becoming licensed to teach elementary school. Each area has different requirements that you must know and fulfill. You can visit the state's Department of Education for additional details on school districts, teachers, and students in North Dakota. As with all states, it is a basic requirement that public school teachers in North Dakota possess at a minimum a Bachelor's Degree. You must also hold a license to teach, which is often earned after the completion of a teacher preparation program. If you do not have a Bachelor's Degree yet, it is likely that you can complete the educational requirements for a teaching license and a Bachelor's Degree simultaneously through a blended program. A blended program joins the coursework for a Bachelor's Degree and a teacher preparation program so that you can become a teacher more quickly. This is great for individuals who know that they want to become a teacher from early on. Before becoming certified to teach in North Dakota, you must earn your teaching credentials or license. This is often done by completing a teacher preparation program. The coursework for the program will revolve around the level or subject you wish to teach. Keep in mind that the program must be accredited. Teacher education programs are often intensive and require the teaching candidate to meet the demands of the school's curriculum and fieldwork. Classes usually consist of a combination of both aspects. Actual instruction is often based on pedagogy, teaching methods, differentiated instruction, and integration of technology. The fieldwork component of the program usually involves classroom observations, student teaching under the guidance of a licensed teacher, or internships. Student teaching involves the teaching candidate to take over a real classroom under the supervision of a master teacher. As a student teacher, you will prepare lessons, implement the lessons, and grade assignments just as a licensed teacher would be expected to do. Each of the mentioned areas must be mastered in order to successfully complete a teacher preparation program. As mentioned earlier, if you do not have a degree yet, it is very likely that you could complete a teacher preparation program and earn a Bachelor's Degree simultaneously through a joint program. However, if you do already have a Bachelor's Degree, you can complete a post-baccalaureate or alternate teacher preparation program. This route will still lead you to a teaching credential for the state of North Dakota. Many institutions offer joint Master's Degree programs as well. There are some alternative ways to meet the education requirements for becoming a teacher in North Dakota. The state honors the "Transition to Teaching" or "Clinical Practice" program. This is a one-year alternative teacher preparation program designed for new non-traditional teachers. In other words, it is for individuals who hold non-teaching baccalaureate degrees in teaching-shortage areas. The program is also for individuals who are entering teaching from another industry or the military with specific technical skills. Individuals participating in the Transition to Teaching/Clinical Practice program will be mentored by a master teacher for one year. These individuals will also participate in online and face-to-face seminar and courses. After one successful year, participants will earn credit for student teaching and the course Introduction to Teaching. Over the course of the next year after completing the those requirements, individuals will take additional classes specified by their university in order to meet the remaining requirements for a license. Do you have a license to teach in another state? North Dakota has limited reciprocity with other states. In order to receive interim reciprocal licensure, you must first hold a valid and current teaching credential or license from another state, or must have graduated from a state approved teacher education program. Applicants must submit an acceptable plan for completing the remaining North Dakota requirements. If accepted, you will be issued a 2-year interim reciprocal license. Another step you must complete before becoming a certificated teacher in North Dakota is to pass the required tests. You will need to pass a basic skills test and a subject area competency test. The basic skills test is often referred to as the "Pre-Professional Skills Test" (PPST) or Praxis I. This basic skills test will assess your skills in reading, writing, and mathematics. The subject-area competency test requirement will be based on the area you want to teach and is often fulfilled by taking the Praxis II exam. This assessment includes three sections on subject assessment, principles of learning and teaching, and teaching foundations test. Some colleges or universities require that candidates pass these test before entering or exiting a teacher preparation program. For a school's specific requirements, ask a school representative or advisor. North Dakota assures highly qualified professional educators for its students. With that said, once the above steps have been fulfilled, you will be ready for your own classroom this fine state. 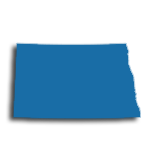 The North Dakota Office of Public Instruction maintains an online database of all available teaching jobs within the state. The state also lists some teaching jobs using SchoolSpring.com. Upon hiring, teachers can join a state labor union. In North Dakota, the options are ND United, and the NEA. Additionally, teachers can join a subject-specific professional association like the North Dakota Science Teachers Association (NDSTA). Contribution to a retirement plan through the North Dakota Teachers' Fund for Retirement (TFFR) is mandatory. After retirement, teachers and surviving spouses draw a monthly amount from the fund depending on contributions made while working. At this time, there is a low need for teachers in the public system (Feb. 2014). Interested applicants are encouraged to submit their CV to any of the state's 52 private schools. Teachers should be aware that 85% of private schools in the state have a religious affiliation. Private schools are not required by law to hire solely certificated teachers. With that said, certified teachers and non-certified teachers have an opportunity to teach in a private school. However, certified teachers are often highly preferred. The table below lists the number of public school teachers in North Dakota by grade level during the 2012-2013 school year. There are more than 40 private schools with an estimated 500 private school teachers in North Dakota. The table below details the number of teachers by grade level during the 2011-2012 school year. The American educational system was established with teacher professional development as an integral component. Over the last few decades, more research than ever reflects that teachers who engage in high quality and ongoing professional development achieve higher rates of student achievement, career goals, and earn a higher salary. In the state of North Dakota, professional development initiatives are guided from the national and state levels to district and schools. This way, teachers can exercise their due diligence by making sure that the professional development offerings they engage in are ones that not only meet their own needs as educators, but also align with district, national, and student needs. Additionally, teachers need to ensure that the professional development they engage in empowers them to demonstrate leadership, underscores a respect for diversity in the student population, supports classroom content and common core standards, and helps them reflect and assess their practice. Teachers with further inquiries are encouraged to contact their district, the state Department of Education, and the Education Standards and Practices Board (ESPB) for information. Licensure renewal in North Dakota is dependent upon the completion of college coursework. While graduate-level coursework is not a requirement, it comes with a lot of benefits. Not only will you meet continuing education requirements in the course of earning your master's degree, you'll propel your career forward faster and bring a greater level of expertise to the classroom in the process. Your Initial Two-Year License is valid for a period of two years. Complete more than 18 months of full-time teaching experience during this time and you'll be eligible to advance to a Five-Year Renewal License. Or, you may renew this license again if you fail to meet the 18-month experience requirement. Once you hold a Five-Year Renewal License, you'll need to complete at least six semester hours of college coursework as a condition of renewal. The ND Department of Public Instruction recommends that teachers take courses related to education and/or the area in which they are licensed to teach. While you can take either undergraduate or graduate courses to satisfy the renewal requirements, pursue your master's degree and you'll not only earn the credits needed to renew your license after taking just two courses, you'll position yourself for more and varied professional opportunities and a higher paycheck in the process. For example, teachers in the Bismarck Public Schools earn a minimum salary of $45,900 with a bachelor's degree, while those with a master's degree earn a minimum salary of $51,585, a significant increase of nearly $6,000 annually.